Funniest thing I’ve seen in a long time! Analyzing the Return of Randy Couture. The UFC finally announced what was already expected by the MMA community: Randy Couture is back in the UFC. UFC: Announcing The Return Of Randy Couture. Randy Couture back to the UFC? 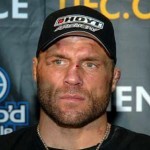 Former heavyweight champion, future MMA Hall-of-Famer Randy Couture might be on his way back to the UFC one last time. Couture reportedly does not mind fighting in the UFC one more time, possibly against interim champion Minotauro Noguiera as a way out of his contract dispute with the UFC.